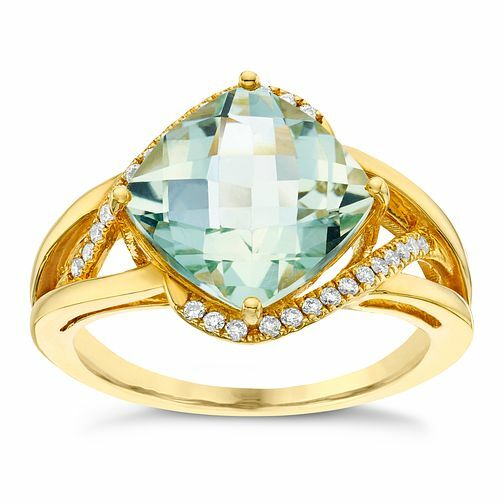 A vibrant, green quartz is set between the arms of an open, 9ct yellow gold ring. Finished with elegantly embellished diamond shoulders. A unique ring with a stylish edge.